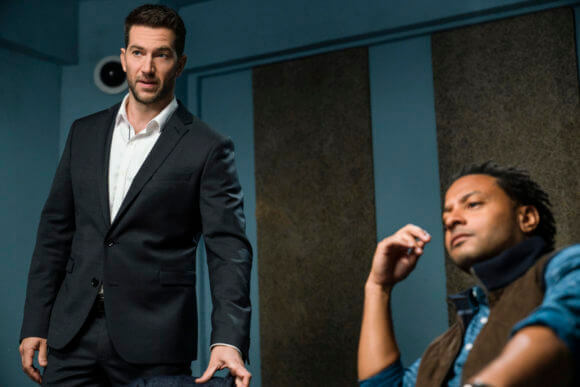 CBS’s dramatic thriller Ransom returns on February 16, 2019 for season three. The new season will air on Saturdays at 8pm ET/PT and kicks off with an episode featuring guest stars Laurent Combalbert and Marwan Mery. Combalbert and Mery are the real-life hostage negotiators who inspired the series and they’ll be playing themselves in the season premiere. Season three episode one titled “Justice” was directed by James Genn from a script by series creator/executive producer Frank Spotnitz. The episode’s guest stars include Natalie Brown as Kate Barrett, Alicia Dea as Dawn Eastman, Karen Glave as Jasmine Miller, and Conrad Coates as Detective Roger Beks. Eddie Eyre is Rob Cooper, K.C. Collins is NJay, Montel Douglas is Andre Miller, Oliver Rednall is Officer Calahan, and Miklós Béres. 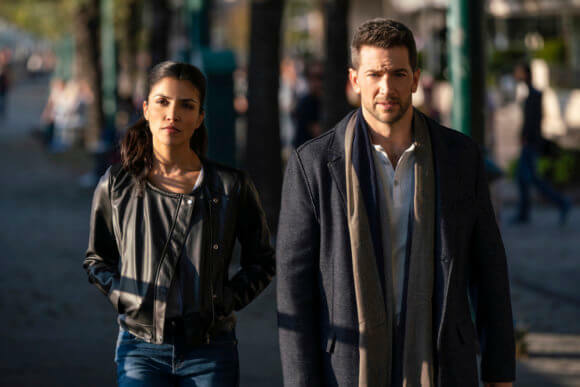 Season three stars Luke Roberts as Eric Beaumont, Brandon Jay McLaren as Oliver Yates, Nazneen Contractor as Zara Hallam, and Karen LeBlanc as Cynthia Walker. The series is executive produced by Spotnitz, David Vainola, Julia Sereny, Jennifer Kawaja, Jocelyn Hamilton, and György Rajnai. 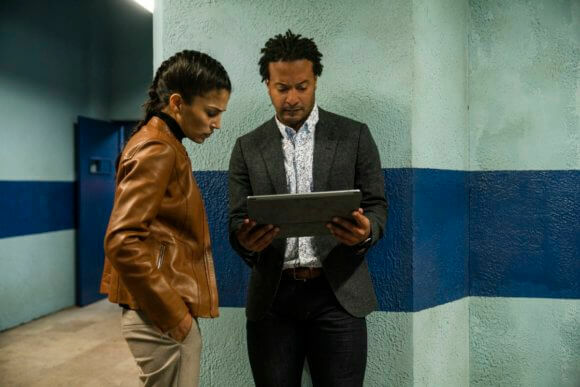 The “Justice” Plot – Eric and the Crisis Resolution team are brought in to negotiate a blood money payoff when a man is murdered and his wife is threatened to be next on the third season premiere. 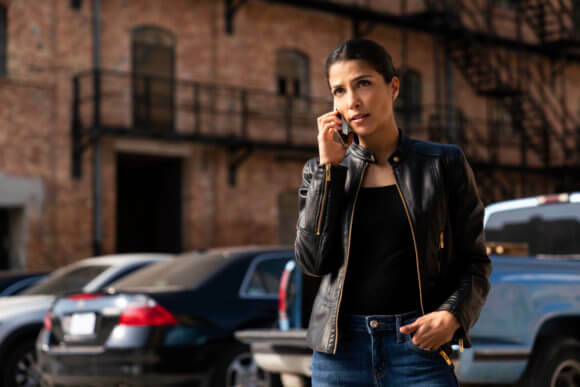 Ransom follows crisis and hostage negotiator Eric Beaumont and his elite Crisis Resolution team who work to balance the demands of their personal lives with their careers as negotiators who handle high-pressure kidnappings and hostage situations. Eric uses his insight into human behavior to resolve the most difficult kidnap and ransom cases but must live with the emotional weight of recently taking out his arch enemy. Despite the stakes, Eric refuses to resort to violence, even when confronted by some of the most dangerous criminals in the world. 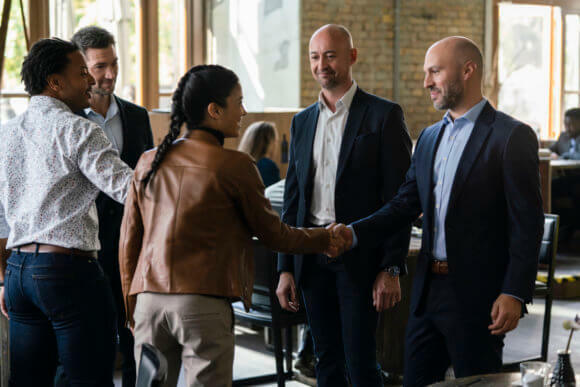 While Eric’s considerable powers of manipulation make him the best at what he does professionally, they often complicate his relationships with family, friends and colleagues. His team consists of psych-profiler Oliver Yates, ex-cop Zara Hallam and the newest member of the team, Cynthia Walker.